There’s an unfortunate myth in San Francisco: that Soylent is a healthy, viable replacement for normal food. When I challenge people drinking it on its healthiness, I’m usually met with confusion. Isn’t Soylent good for you? Doesn’t it have all of the vitamins and nutrients you need? Isn’t it well balanced? Not really, no. Here’s why. He seemed to feel that in the Silicon Valley world where everyone ought to spend 16 hours a day coding, food was a waste of time and needs to be condensed into the fewest possible task hours on his scrum board. That’s unfortunate, but not necessarily bad. This is what Soylent is founded upon. A hypothesis, arrived at from the desire to save time eating, that our bodies do not need food, but rather the chemicals and elements it contains, and more importantly, that we know what those chemicals and elements are. And that, we’re going to see, problematic. Grains = good and should be the foundation of your diet. Fats = bad and you should eat as little of them as possible. We now know, thankfully, that this is pretty much entirely nonsense and caused significant harm to an entire generation of Americans, likely leading to much of the modern obesity epidemic. Fats are great, grains are almost completely unnecessary and should be minimized. Dairy is suspect. Fruits are alright but have a significant amount of fructose. 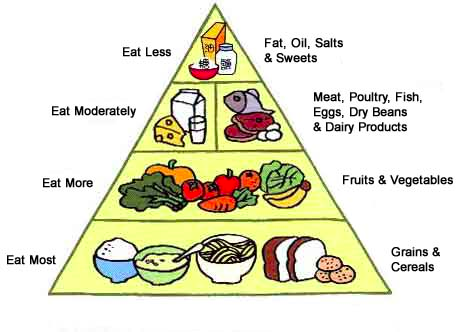 Thankfully, the U.S. agencies that make these recommendations have changed course and now recommend a healthier diet consisting of primarily vegetables, fats, meat, and minimal grains. They are also still spreading the belief that eating cholesterol raises your cholesterol, something that, again, we know simply isn’t true. Now, let’s pause and consider why this matters. When you say “healthy,” and I say “healthy,” we could both, in our heads, think we understand what “healthy” means, while both having very different ideas of what it is. If you still believe in the sugar-industry-funded food pyramid then you might think you need to eat a loaf of bread a day. Your idea of healthy contains a lot of bread and pasta, which is wrong, but if I just ask you “do you eat healthy?” you would say “yes!” and you wouldn’t be lying, per se, just misinformed. When someone says a food is healthy, we have to ask what they mean by healthy. Are they are up on the latest research? Or are they using old, bad data and trusting government agencies that are still being influenced by lobbying, fake data, and bad science? Well, let’s try to figure out what Soylent means by healthy, in order to evaluate their claims. In order to understand whether or not it’s healthy, we’ll need to dive into each one of these, and see if they have the right idea about health in each of these categories, and how honest they’re being about them. Sugar being bad we’re all on the same page about, but what about saturated fats and cholesterol? I’ve already called these out as old myths that arose from marketing, but let’s dig in a little deeper on why the old ideas about them being bad aren’t true. There’s no good evidence suggesting that saturated fats are bad for you, only that they aren’t quite as good for you as monounsaturated or polyunsaturated fats. This is, again, part of the collection of myths that came out of the sugar industry, and one that has been very stubborn about going away, despite research suggesting it was a mistake and that we should reduce carb intake and replace it with the saturated fats we used to eat more of. The same is true for cholesterol. It turns out that eating cholesterol does not raise your cholesterol in the simple ways we used to believe, and that eating some cholesterol is important for your brain and for sexual health. Alzheimer’s patients who switch to a high-fat diet see a decrease in symptoms, and we’re moving away from looking at dietary cholesterol as a risk factor for heart disease as we used to believe. Worse, eating a diet too low in cholesterol can increase your risk of dementia and memory loss, which may explain why we’ve seen a rise in neurodegenerative diseases around the same time we started vilifying these foods. Saturated fats and cholesterol are at the very least not bad, and there’s evidence that they could be an important part of your diet. There may be more risk from not consuming them than consuming them when we look at the neurodegenerative risks in particular. They haven’t done their research on what’s good and bad for you. They’re sticking to outdated, bad data, so we can’t trust the rest of their notions about what should and shouldn’t be in your diet. If you lived on Soylent, you could be at higher risk for neurodegenerative disease, memory loss, decreased sexual function, and other problems. So it seems two-thirds of their “we don’t have excess amounts of this stuff” section is problematic, but what about their claims about sugar? I don’t think anyone will disagree that sugar is bad. We know that pretty conclusively. What we can challenge, though, is the claim that they don’t have “excess amounts” of it. In Coffeist, one of Soylent’s more popular products, there are 9g of added sugars out of 400 calories. If you’re a smaller person and only need ~1,600 calories a day, you’d be getting 36g of added sugar. But if you’re a relatively active, fit person, you might need more like 2,400 calories, which would give you 54g of added sugar. That’s a problem. The amount of added sugar you need in a day is 0, and anything above that is “excess,” but even if we’re generous and allow them to include the American Heart Association recommended limits, they’re still above them. The AHA recommends ~37.5g a day for a man, 25g a day for a woman, and assuming you’re active and not eating under your daily caloric needs, you’d be getting above that amount with Soylent. This is the most concerning of their three claims, but as we’ll see, the other two aren’t that much better. We know what vitamins and minerals you need to be healthy. Soylent has all of them. If you consume them via Soylent, you absorb and benefit from them the same way you do with their natural forms. Do we know what vitamins and minerals we need to be healthy? This claim around having the vitamins and minerals you need is based on recognizing that there are these things in food that we need, and that in order for Soylent to replace food, it needs to have those things too. The need for some of these vitamins and minerals is obvious and gives rapid consequences if neglected. If you get no sodium in your diet, you die. If you get no Vitamin C, you get scurvy. But there are also more subtle effects from deficiencies in certain vitamins and minerals. Get too little Selenium and you can develop Hypothyroidism and live with it for a long time without it being bad enough to be treated. You could be low on Potassium for a long time, be suffering harm from it, and never really notice it. Now, to be clear, Soylent does a good job including all of the vitamins and minerals that we know about in their drinks. But what’s more interesting is the question: do we know all of the vitamins and minerals you need? No one has ever sat down and taken apart a human being and reverse engineered all of the specific vitamin and mineral inputs you need to function optimally. Most of them have been figured out because people started dying of something, adding some food to their diet fixed it, and then we did that enough until we were able to isolate what the specific thing that fixed it was. Vitamin C was discovered long after sailors knew they needed barrels of limes or sauerkraut on long journeys. Odds are good that we don’t know everything about what we get from food, just what we know so far. This imperfect information about vitamins and minerals is problematic, because while a lime probably has some other things in it that are beneficial that we’re yet unaware of (let’s call it Vitamin X), Soylent doesn’t. We could be getting something vitally important from regular lime consumption that we’re completely unaware of, but when we strip away all the unknowns in food and just mix together a bunch of powders from what we do know about, we lose Vitamin X. And it could very well be that Vitamin X is like Vitamin D, and it takes years, even decades, for you to develop cancers and health complications from its absence. The point is, we only know what we know so far, but to assume that we’ll never find another important part of nutrition that we’ve been getting by default without knowing about it is ludicrous. So does Soylent contain all of the vitamins and minerals we know about so far? Yes. Does it contain all of the vitamins and minerals you need? Probably not. I assume it would add them later as we discover them, but who knows what 3 years without sufficient Vitamin X does to your body. We may have not discovered it yet because all vegetables contain Vitamin X, but when you stop eating vegetables and start drinking magical silicon valley food powder… who knows what new deficiencies we’ll discover. That covers points 1 and 2 of their claims around vitamins and minerals, but there’s an issue with claim 3 that we need to highlight. This idea that a vitamin is a vitamin is a vitamin. Is a Vitamin a Vitamin a Vitamin? We know that Soylent contains all of the vitamins and minerals we know about, but that does not necessarily mean you can absorb or benefit from them. Let’s take an extreme case. Say every morning I gave you a multivitamin and a diuretic. You would take them both, and an hour later, be quietly sobbing as your insides aggressively evacuate into the toilet. Now here’s the question. Did you get your vitamins? You certainly consumed them, but it seems unlikely that they properly absorbed into your body before getting projectiled back out of you. There is a difference between “consuming your vitamins and minerals” and actually absorbing them. So let’s come back to Soylent. It may have all of the vitamins and minerals you need, but do you absorb them the same way? The only way you would know is to consume only Soylent and nothing else and get your levels tested after a few months, maybe longer, but we can make some inferences. We know that synthetic supplements are not absorbed the same way as when we get them in real food, so even though Soylent has everything, we’re likely not using all of it the same way since it’s not in its original form. In that case, “100%” may be more like 20%, since we can only use some of it. Worse, the process of eating seems important for absorption. Chewing, for example, helps with absorbing vitamins and minerals, as well as for making full use of protein. We don’t fully understand how vitamins and minerals are absorbed, so their natural form is the safer bet. We totally get it and we can use synthetic, processed versions of vitamins and minerals and it’ll work out fine. I’m going with number 1. Does Soylent have a good balance of Protein, Carbohydrates, and Fats? In a bottle of Coffeist, you’ll get 21g of fat, 37g of carbohydrates, and 20g of protein. In terms of calories, that’s 189 calories from fat, 148 from carbohydrates, and 80 from protein. As percentages, that’s 45% fat, 35% carbs, and 20% protein. This is okay, but it’s not great. If you want to maintain a healthy weight, that’s a lot easier at below 150g of carbs a day, and if you lived on Soylent (2,000 cal diet) you’d be getting almost exactly that. I would have ditched most of the carb filler and opted for more fat instead, but that would have made it much more oily and less shake-like. What’s more interesting though is the other question: what is the quality of the protein, carbs, and fat? Does Soylent have good kinds of Protein, Carbohydrates, and Fats? This is where things don’t get necessarily bad, but definitely suspicious. Most of the protein in Soylent comes from Soy Protein Isolate, which they describe as having a “robust amino acid profile,” and while that’s true, there’s plenty to at least give us pause when it comes to processed soy as our dietary protein source. I’ll be honest, the jury is still out on processed soy. But that unsureness is enough to not want to consume too much of it. Normal soy seems to be pretty much fine, but all of its processed forms seem like they could bring different cancerous and sexual health related issues with them. It’s very back and forth, but that’s enough to make me suspicious of its benefits, and definitely enough to not want it to be my only protein source as an animal that evolved to eat other animals. Phrased another way, would you put your faith in a kind of protein that we’ve evolved to eat over millions of years? Or one that was invented in the 1960s? Their carbs seem fairly benign, but their Glycemic Index, the measure of how much the drink affects your blood sugar levels, is concerning. Soylent 2.0 has a glycemic index of 49, which is about the same as orange juice, Snickers bars, and spaghetti. That’s not so bad on its own, but if it’s all you’re consuming, then every meal is hitting your blood sugar the same way as a sweet drink or plate full of pasta would. That’s not good. All of these issues with their claims about why their healthy should give you pause. But even if you’re not on board with the logic so far, there is one, central problem underlying all of it, which is enough to be suspect of any claims to healthiness from Soylent or other invented foods. While I respect what Soylent is trying to do, it falls into the same trap as weight machines. There’s a certain gestalt to natural human processes, and when you try to simplify it to its core pieces and recreate it with technology, you lose something and don’t get the full benefits. Sometimes what you lose is harmless, but the danger with Soylent is that what don’t know may slowly kill us. For us to say that it’s healthy, we would have to know that it has a direct boon to your health, or is at least comparable to real foods like vegetables, meat, and nuts. We have no evidence of that. Maybe it comes close, but there’s so much unknown about it and these kinds of synthesized foods that we can’t call it healthy. The default for evaluating some food that isn’t found in nature shouldn’t be that it’s “healthy until proven bad,” rather, bad until proven healthy.